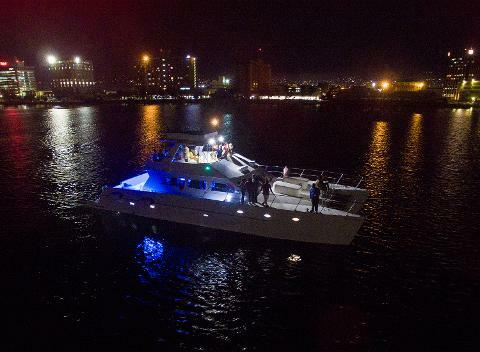 This and every Friday, we host an all-inclusive Friday Night Party cruise around the Kingston Harbour. 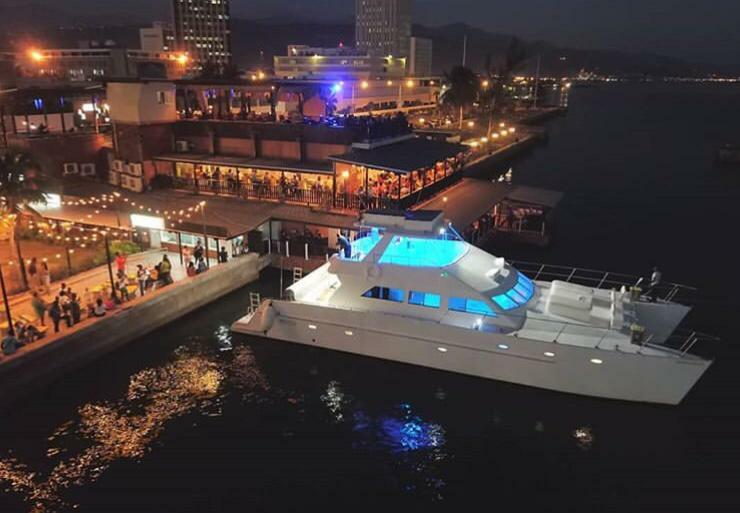 We sail out from Ribbiz Ocean Lounge in downtown Kingston at 8pm, and return at 11pm. 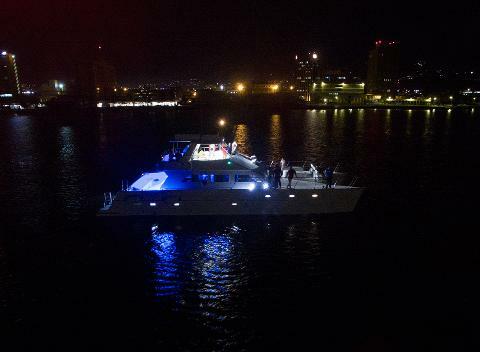 Come aboard our luxurious 69ft Power Catamaran for a party experience unlike anything else you'll find in Jamaica. 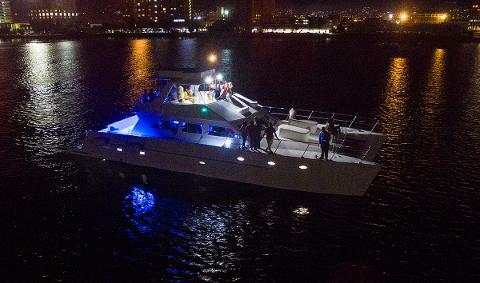 This fun-filled, food and drink-inclusive party cruise takes you on a 3-hour tour of the 7th largest natural harbor in the world, the Kingston Harbor. 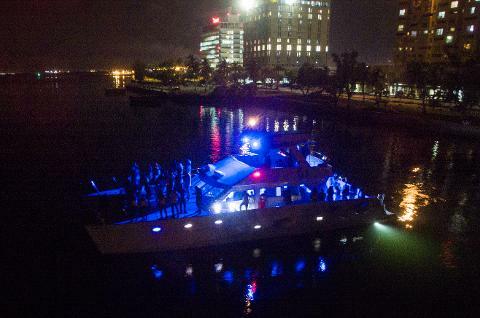 We leave from the Ribbiz Ocean Lounge (Victoria Pier) on Downtown Kingston's waterfront at 8pm, and return at around 11pm. Bring your camera and get some really magical photos with Downtown Kingston and the city lights as your backdrop. 1. High heels not allowed on boat. Please wear flat shoes. 2. This is a smoke-free environment. No smoking allowed anywhere on board. 3. I.D. 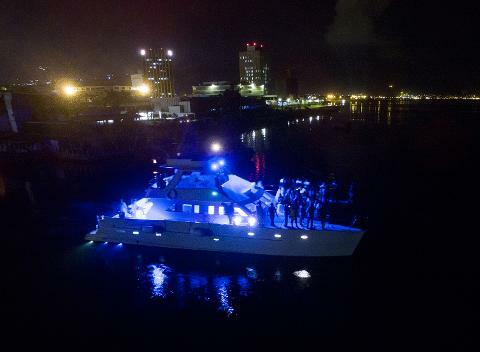 must be presented at dock for discounted tickets. 4. 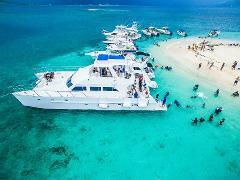 Transportation to the dock is available for an extra $20 per person. Feel free to WhatsApp us or give us a call if you have any questions.